Hi friends, I'm so glad you are here. Happy August! Already. This summer and year, for that matter, have just been flying by. I hope you've had a good week. Mine was a bit slower than usual, but then again that's kinda nice every once in awhile. I shared my Lemon Curd and Candied Lemon Peel recipes with you all earlier today. I hope you get a chance to take a look. With that said should we get to the party? So much talent, thank you all so much for joining us each week. This week, I'm sharing a few FEATURES that caught my eye. 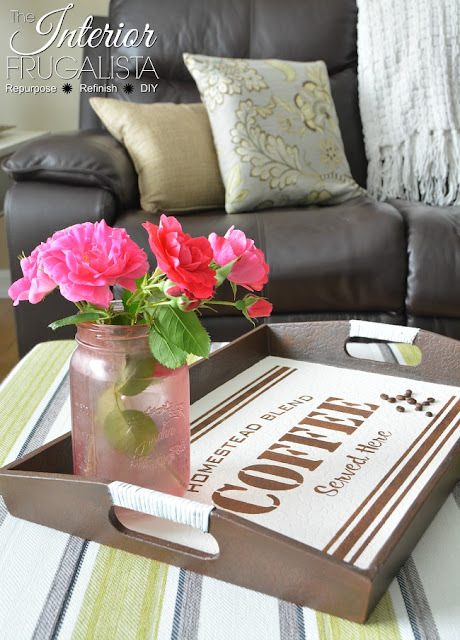 First up, is Interior Frugalista's Faux Snakeskin Tray with Stencil. I love how this turned out. Nice job! Paulette's Paper shared her Weekly Bible Journal. I love it! Friends if you haven't started bible journaling yet, you really don't know what you're missing. Grilled Loaded Potatoes I would sure enjoy this dinner! 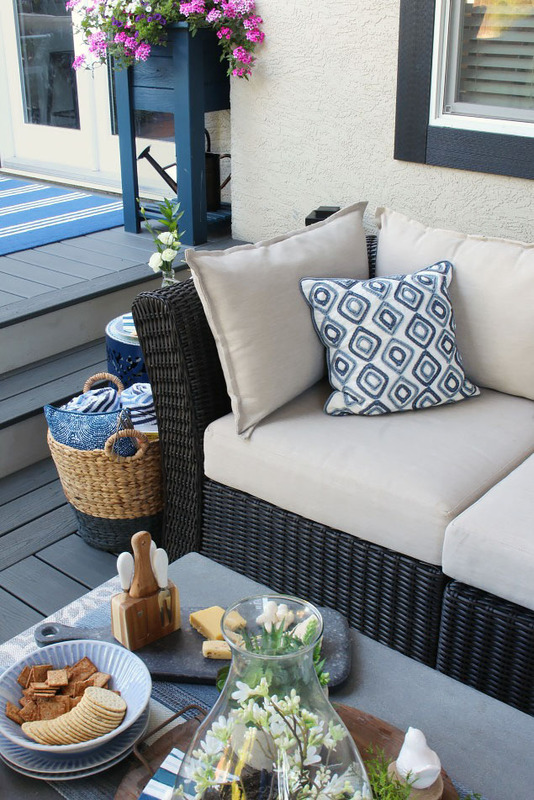 Clean and Scentsible shared her beautiful Backyard Patio Ideas that look oh so inviting! In honor of my parents upcoming 60th Anniversary I had no choice but to go with Of Faeries and Fauna's Maple and Walnut Ice Cream Cake they're back home in New Brunswick, Canada now and I'm betting they are getting their fill of Maple too! Thank you very much for the feature. I bet your parents are having a wonderful time in New Brunswick and I hope they get a chance to sample some maple sugar for me while they are out there. Thanks so much for sharing with us! Love your blog! Thanks for hosting, Theresa! Hope you have a wonderful weekend. Thanks, Sam! Me, too! So happy you're here!! Happy Weekend, my friend! 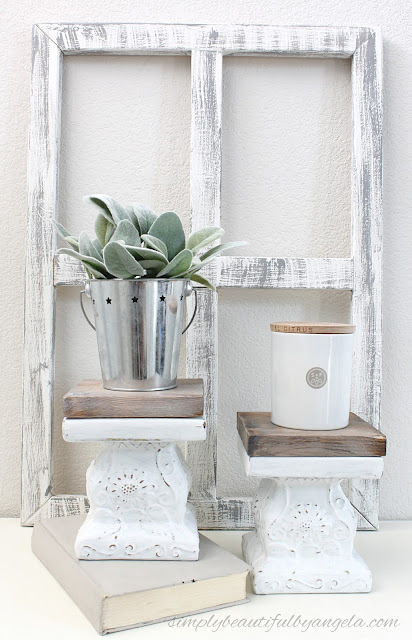 Thank you so much, Theresa for featuring my Wood Tray Makeover and hope you're having an awesome weekend! Marie it was completely my pleasure! I just love it! So glad you're here with us! Thank you so much for featuring me! What a sweet surprise!! I'm so pleased! So happy to have you here!